Send 'Child Protection Officer, (NO-A)' vacancy to your friends! The Child Protection Officer reports to the Child Protection Officer NO-B for close guidance and supervision. The Child Protection Officer provides professional technical, operational and administrative assistance throughout the programming process for the child protection programmes/projects through the application of theoretical and technical skills in researching, collecting, analyzing, and presenting technical programme information while learning organizational rules, regulations and procedures to support the development and formulation of the Child Protection Programme within the Country Programme. Research and analyze regional and national political, protection, social and economic development trends. Collect, analyze, verify, and synthesize information to facilitate programme development, design and preparation. Provide technical and administrative support throughout all stages of programmeming processes by executing and administering a variety of technical programme transactions, preparing materials and documentations, and complying with organizational processes and management systems, to support programme planning, results based planning (RBM) and monitoring and evaluation of results. Participate in monitoring and evaluation exercises, programme reviews and annual sectoral reviews with the government and other counterparts, and prepare minutes/reports on results for follow up action by higher management and other stakeholders. Undertake field visits and surveys, and collect and share reports with partners and stakeholders. The efficiency and efficacy of support provided by the Child Protection Officer to programme preparation, planning and implementation, contributes to the achievement of sustainable results to create a protective environment for children against harm and all forms of violence, and ensures their survival, development and well being in society. 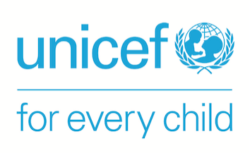 Success in child protection programmes and projects in turn contributes to maintaining and enhancing the credibility and ability of UNICEF to provide programme services for mothers and children that promotes greater social equality in the country. An university degree in one of the following fields is required: international development, human rights, psychology, sociology, international law, or another relevant social science field. And advance degree (Masters’s) would be considered as an asset. A minimum of one year of professional experience in social development planning and management in child protection related areas is required.